This principal has a heart for kids… I could not have said this better myself. 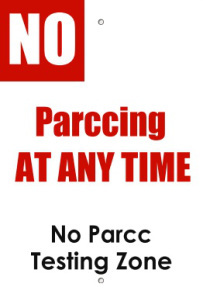 On March 2nd, members of my school’s PTA sent letters home to parents encouraging them to opt their children out of the PARCC Test. Their effort was covered in an article by Lauren FitzPatrick in the Chicago Sun-Times. Many parents asked my position on the matter. As a result, I released the following letter to our parent community. ... because there's more than one correct answer. Helping parents and teachers end common core. Educators from the US and beyond: please share your teaching stories with Mr. Bill Gates. How have the policies of the Gates Foundation influenced your classroom, your students, your teaching, your schools, and your communities?